J’adore Dior. 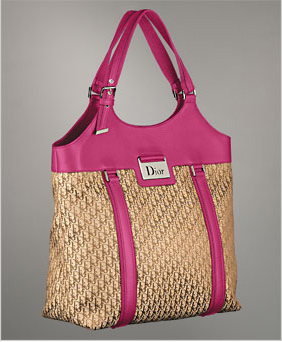 The Diorissimo Large Shopper is the perfect Fall tote. Drenched in deluxe details, the repeating Dior logo adorns the body, and the splash of fuschia leather trim brings brightness to fall and winter blandness.